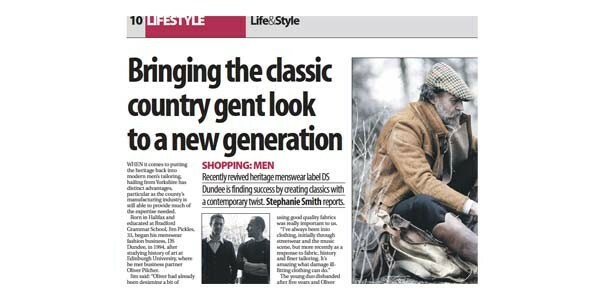 DS Dundee wanted to extend awareness of its online designer men’s clothing label beyond London. We targeted the predominantly male readers of the region’s business press as well as the usual fashion pages – scoring significant hits, especially in the pre-Christmas period. Jane Cameron at Look Lively got my menswear brand D.S.DUNDEE widespread coverage across business and lifestyle pages, including a full colour spread in the Yorkshire Post. This was a real boost to our exposure in the Yorkshire region and translated into direct web sales and even visits to our London store from Christmas shoppers!